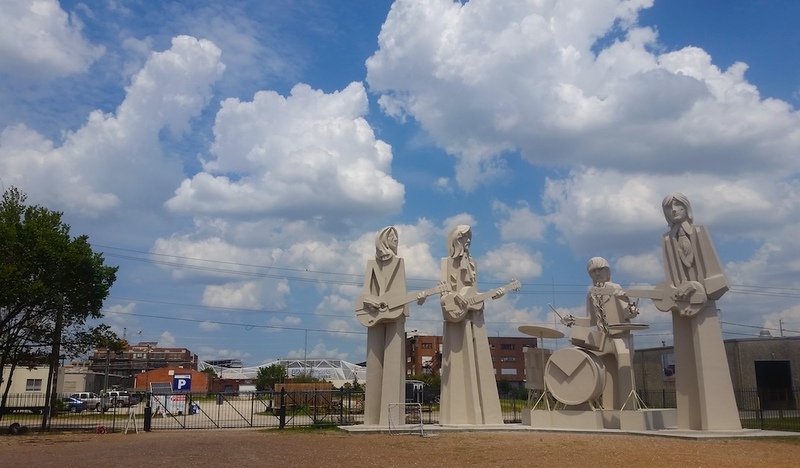 Spot the British Invasion of David Adickes’ giant Fab Four statues, now for sale and at a new temporary residence, in the backyard of 8th Wonder Brewery. 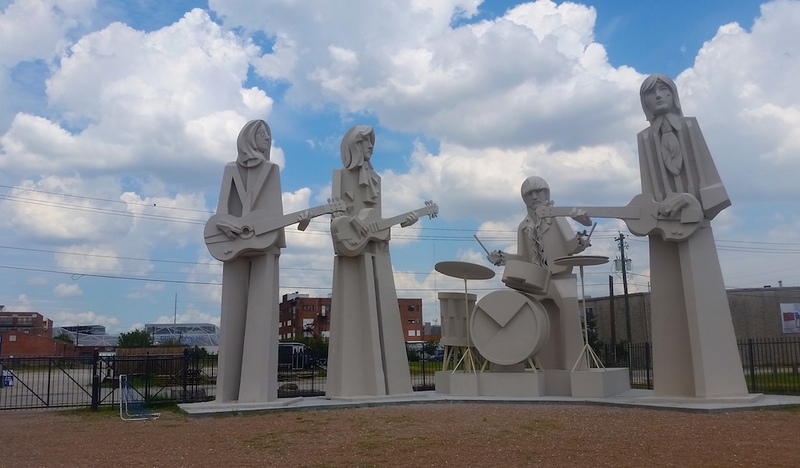 Nestled just east of Downtown‘s towering skyscrapers in EaDo, 8th Wonder’s beer garden is now the temporary home of Adickes’ beloved larger-than-life abstract statues of the Beatles in their Sgt. Pepper Heart’s Club Band finery. Formerly located in a gravel lot in the Washington Arts District, then relocated to a storage lot on Nance, the statues make a welcome return to public life. John Lennon, George Harrison, and Paul McCartney reach 36 feet tall, with Ringo Starr coming in a good bit shorter (he’s seated to play the drums). The concrete commanders of Liverpool in the ’60s have traded their former storage digs for 8th Wonder they’re sold. The asking price tag is a whopping $350,000. 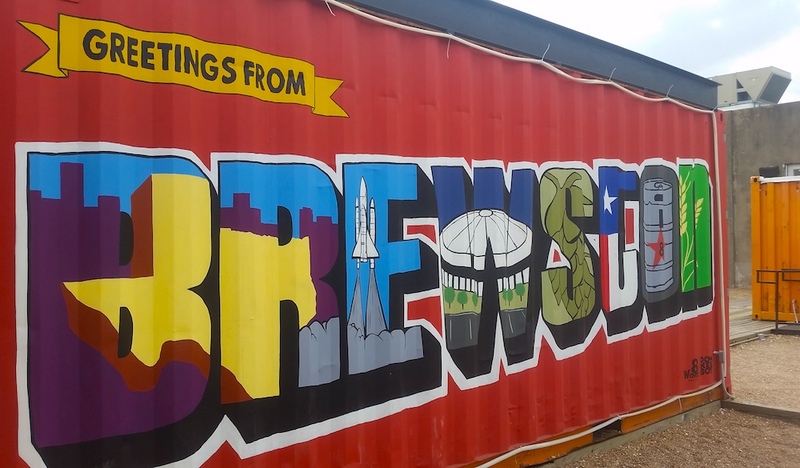 Though it’s technically free to visit the Fab Four, consider purchasing a beer token or nonalcoholic beverage and check out the Houston-centric brewery’s photographs and memorabilia of the historic Astrodome adorning the walls, along with customized jerseys from each of the city’s sports franchises. Though he began his art career as a painter, David Adickes has become beloved in Houston for his beloved sculptures, especially his U.S. president heads and Sam Houston sculpture in Huntsville. After studying in France and traveling extensively throughout the world, Adickes was commissioned in 1983 to make his first monumental sculpture, Virtuoso, at the Lyric Center in Downtown. Be on the lookout for Adickes’ giant pieces around Houston, including his aforementioned Sam Houston Sculpture and realistic 18-foot busts of U.S. and Texas presidents as well as the We Love Houston aside the Katy Freeway, and his giant Art Sculpture at Sawyer Yards. 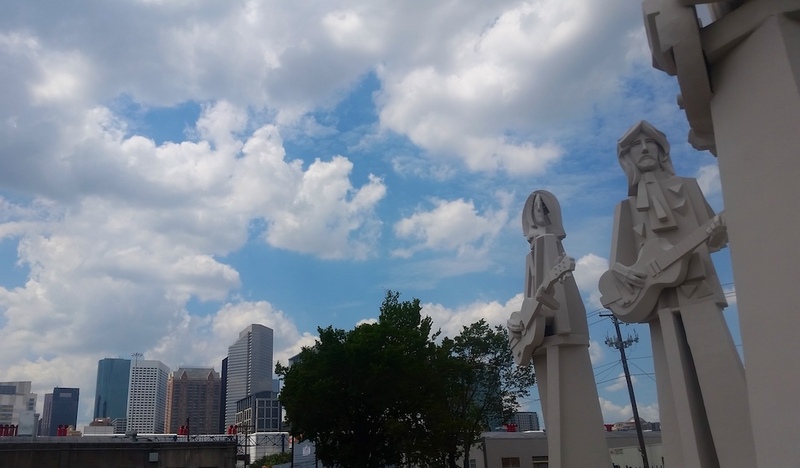 If you’re looking for a sweet spot to visit the statues, try a weekday afternoon to catch a less crowded photo-op. Underage visitors are welcome, though you have to be 21 to purchase beer tokens and drink. Non-alcoholic selections are also available.